Like it or not, reality TV programming has changed the landscape of what we watch on TV. A quick glance of TV history can find that various programming genres have gone through cycles. In the beginning, the airwaves were dominated by sitcoms featuring radio stars and variety programs. At the beginning of the 60’s it was all about the westerns and corny “hillbilly” type humor. The 70’s brought a wave of realism not only through dramas and miniseries but also in the half hour sitcom arena. In the 80’s the message was escape through luxury and the sitcom was dead. Then in the 90’s, the sitcom was back. And in the new century, reality TV began muscling out the scripted programming to lay claim to several hours of a week of real people, real chefs, real designers, real teens and pretty much anything else where some drama can be created. Oddly enough, this kind of programming has been around for a long time. Way back in 1948, Allen Funt began a long history of catching folks in the act of absurdity with his Candid Camera series. This was our first glimpse of real people acting like themselves. There were also plenty of talent and quiz shows in that first decade of television history. In fact, the scandal of providing contestants with answers on the quiz show $64,000 Question nearly ruined a network. Could this be why the networks today would rather have a Wipeout or Deal or No Deal type of show than a quiz show? As for watching families, couples and other “real” people go through the drama of their daily life, it wasn’t MTV which started it all, but PBS. A documentary film maker followed the Loud family back in 1973. The result was the riveting real life drama of An American Family. It actually took audiences and networks several years to recover from the raw nature of watching a family self destruct from within. However, this type of programming came roaring back with the premiere of MTV’s Real World. Now it would seem that Andy Warhol’s prediction of everyone being famous for 15 minutes is actually coming true as the television airwaves are jammed packed with dozens of real folks in all kinds of situations and lifestyles. We just can’t look away! The bottom line is that television provides hours of entertainment for people around the world – especially those in the Bay Area . It also offers a window into that world by providing up to the minute news. Can you really imagine living without TV? 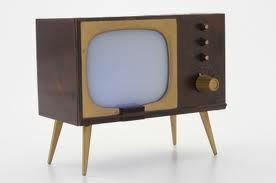 The question then becomes what shape is your current TV set in? Is it time for replacement? If you’ll still watching television on a bulky set you might be ready to upgrade to a slim and crystal clear flat screen plasma TV. When these sets first hit the Bay Area market, they were selling for around $10,000. Now, you can find amazing deals on big screen plasma for under $900. When you’re ready to upgrade, you’ll need to get rid of that old set. Junk King Alameda is your on-demand East Bay & Oakland TV disposal crew, standing by to properly get rid of that old dinosaur of a TV. All you’ll have to worry about is what to watch after the crew efficiently hauls off your old (and heavy) television. Simply call 1-888-888-JUNK or book a free on site estimate. This entry was posted in Get Rid of Old TV, Junk King Alameda, oakland junk removal, Oakland TV Disposal and tagged Get Rid of Old TV, oakland junk removal, Oakland TV Disposal, Oakland TV Hauling, Television History, TV History on June 16, 2011 by Junk King. Last updated August 4, 2017 .